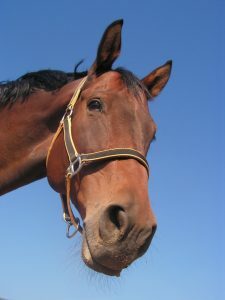 There are many Brisbane to Melbourne horse transport companies out there. So who do you trust to get the job done properly? We have over 20 years of experience handling horses and delivering them safely from start to finish. East Coast Horse Transport are the people to trust with the care of your horse. We cover the whole east coast from north Queensland to Brisbane to Melbourne. Traversing the distance between Brisbane to Melbourne weekly means we can pick up from most locations in south-east Queensland, inland New South Wales, and central Victoria. There is no one better who understands that horses are sensitive animals, and that road transportation can be stressful for them. We take all the measures necessary to ensure that the ride is as smooth as possible, and to treat the horse with the utmost of gentle care. True, we are not the cheapest horse transport company out there. Why put a cheap price on your horse’s safety and comfort, particularly for such long distances? We go out of our way to ensure your horse comes first and arrives at their destination stress-free and happy. Need a horse transported? Talk to us – you’ll be glad you did.